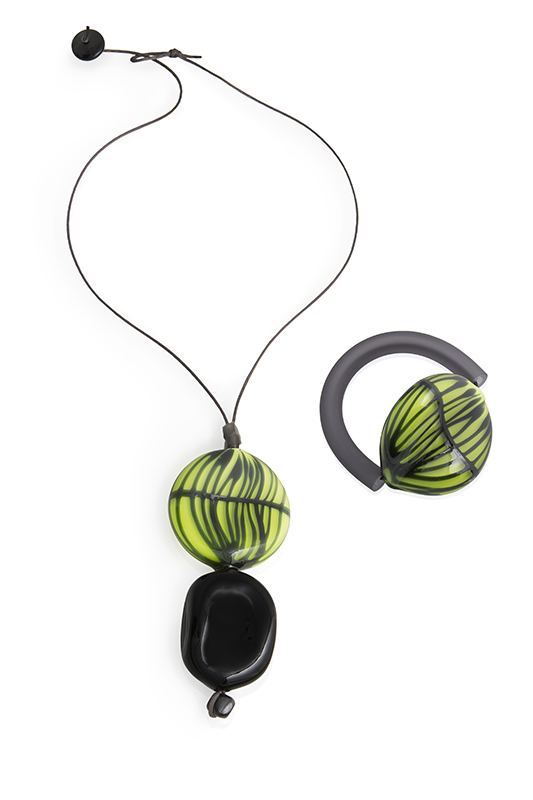 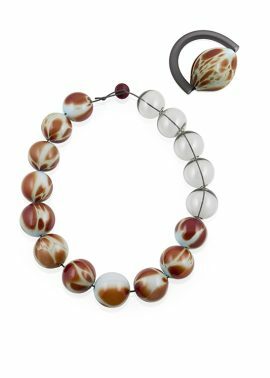 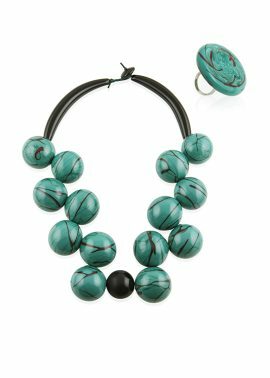 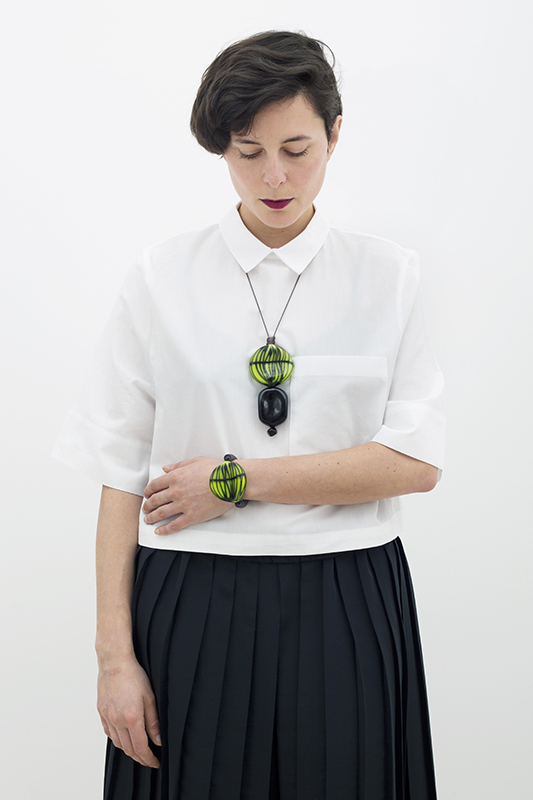 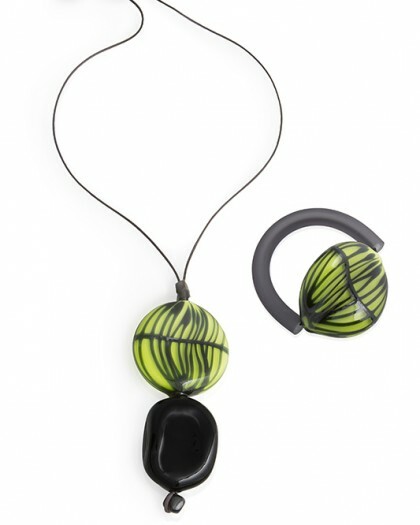 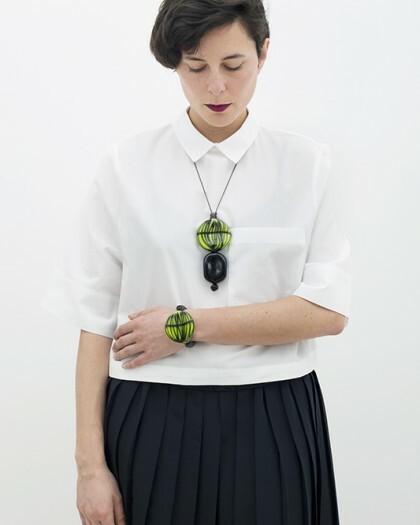 These blown glass pendant necklace and bracelet both convey style and elegance. 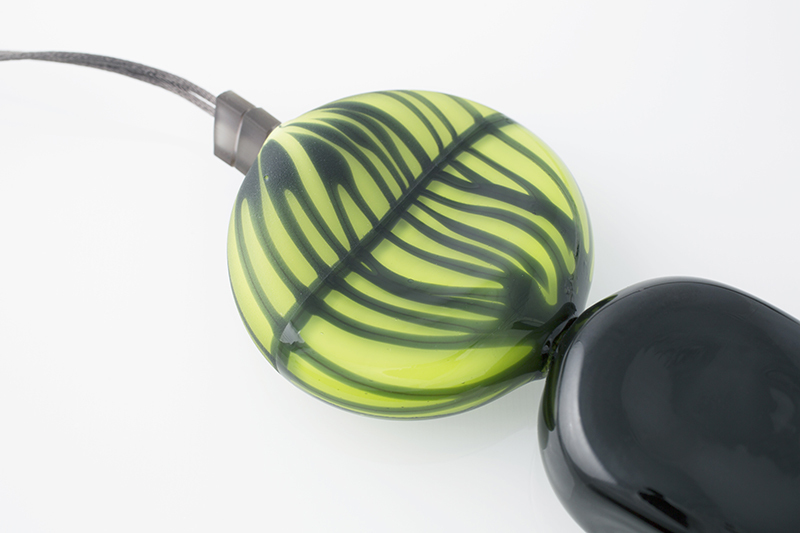 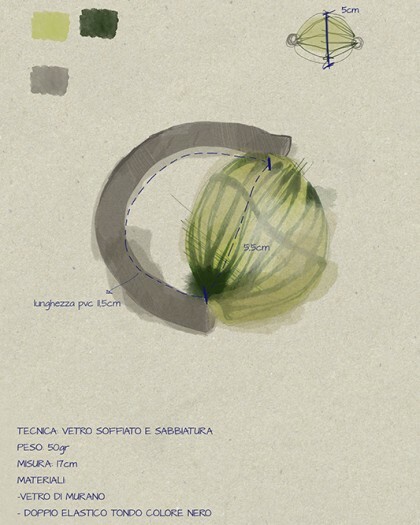 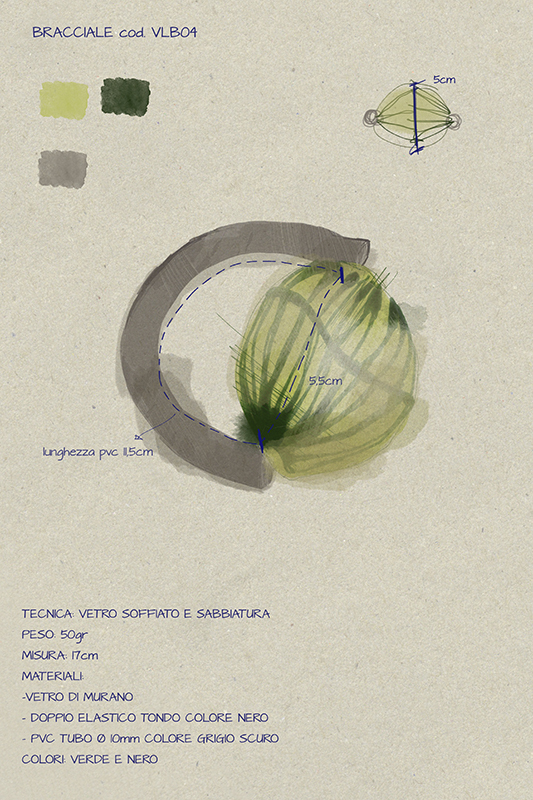 The subtle sandblasting exalts the brightness of the surface revealing the shape. 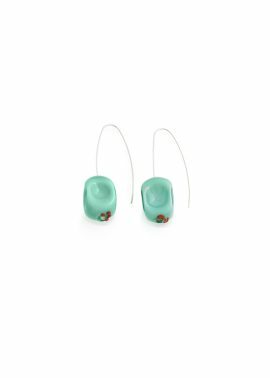 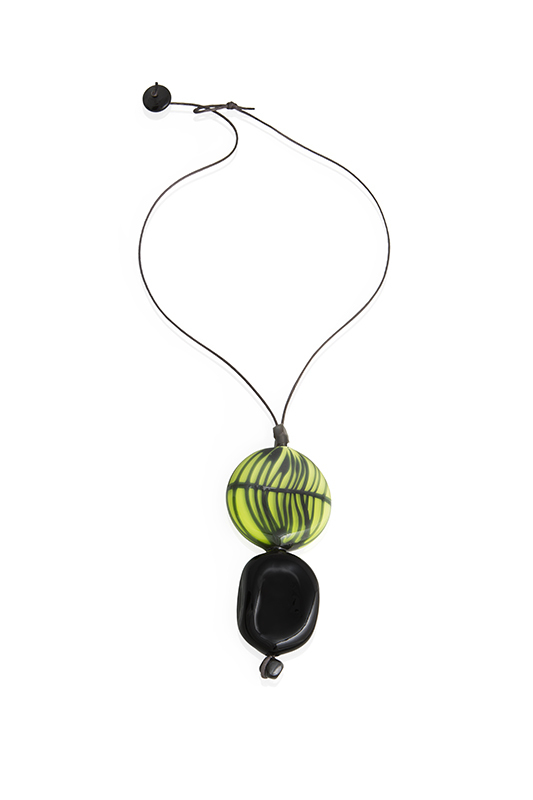 Dark glass threads applied one by one on the green bead distinguish this creation and its refined, elegant design. 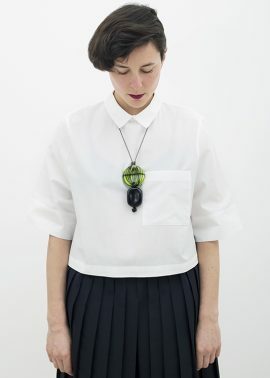 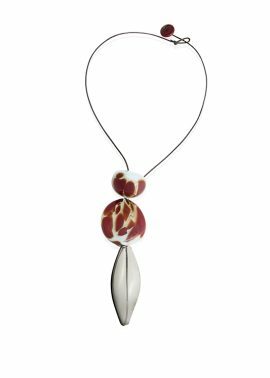 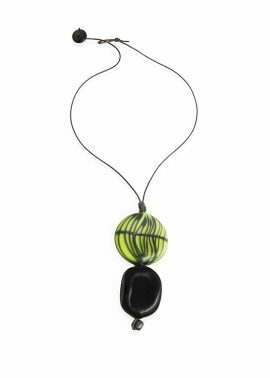 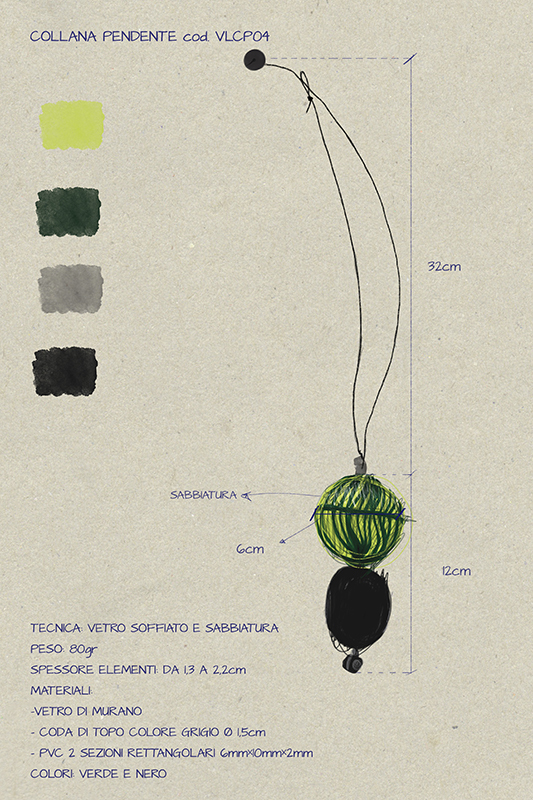 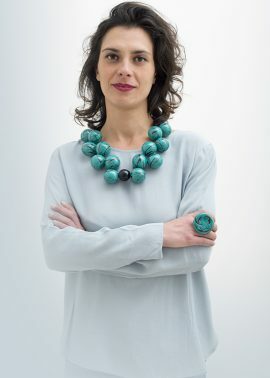 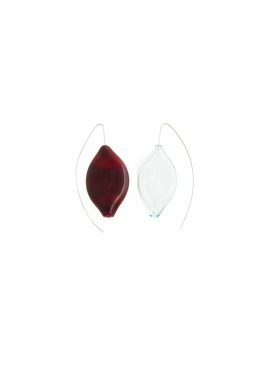 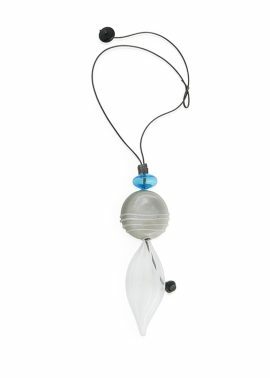 The LUCEeOMBRA pendant necklace is made of Murano glass elements blown by mouth and hot-worked. 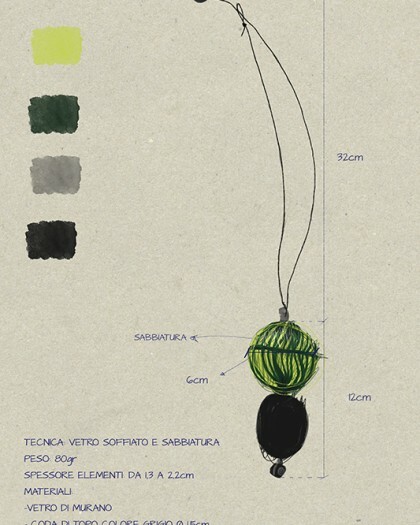 It’s realised with a thin grey rat tail cord, two small rectangular PVC sections and a glass latch. 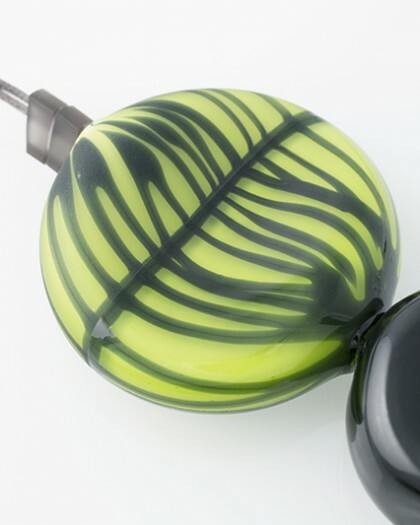 Glass elements are not fixed one another so the cord’s length can be changed easily. 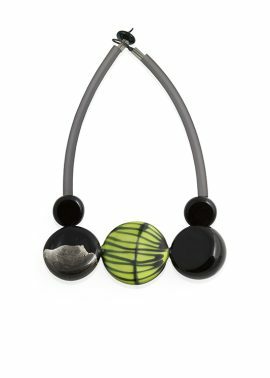 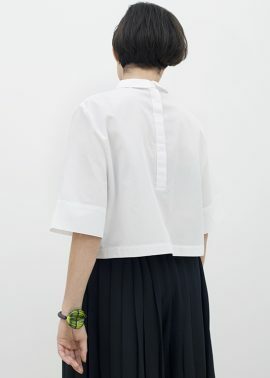 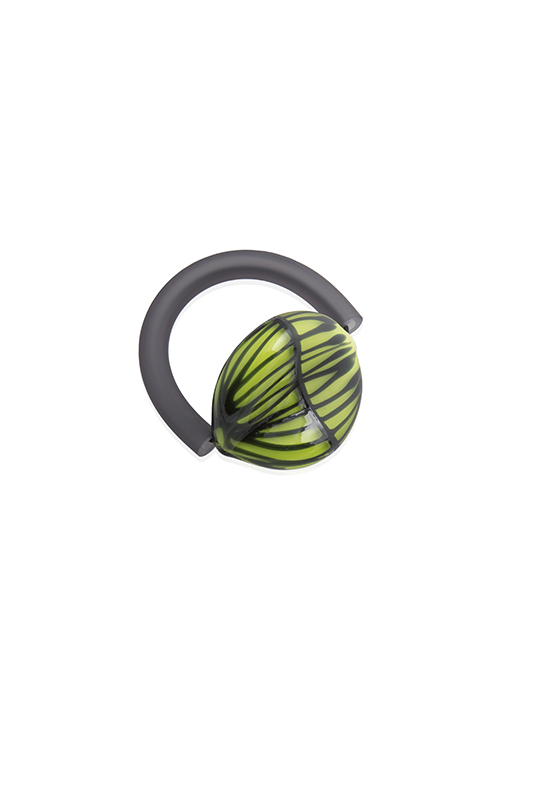 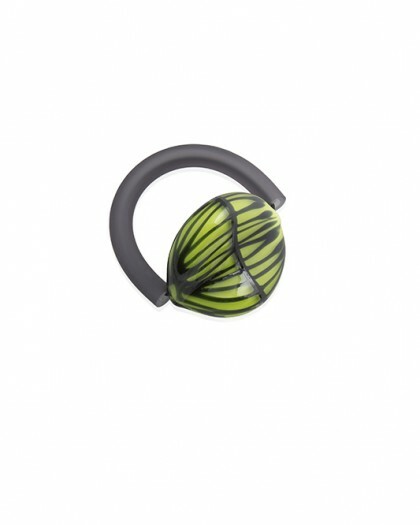 The LUCESABBIA bracelet is composed by a blown by mouth and hot-worked Murano glass bead, a PVC tube (Ø 10 mm) and a black double-round elastic. 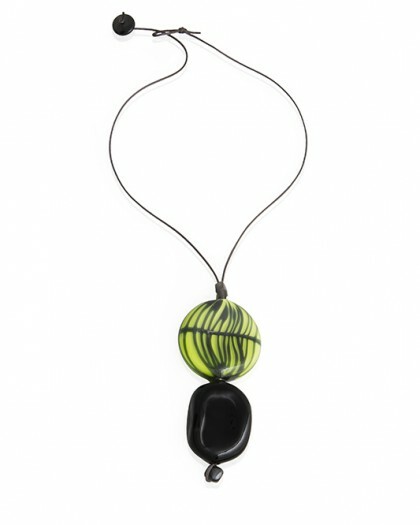 Dark glass threads are applied one by one on the green bead. 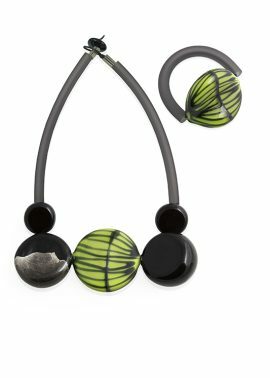 The sandblasting exalts the shapes and rigorous style of this creation.